Read our Story below.....it's all true! Drink 3-6 eight-sixteen ounce bottles every day. This product is made in my very own kitchen under sterile conditions and tamper proof sealed. MY SISTER SOPHIA'S TEAS started after I found out my sister had been diagnosed with colon cancer. Sophia had a successful surgery, however, being a Registered Nurse for many years, I worried about her when she told me "no chemo". After surgery the physicians discharged her on the minimum amount of medication to keep her red blood cell count up enough for her to be strong enough to live a "normal" life. She stayed active and is doing exceptionally well. When I visited her in Florida she looked marvelous! Still concerned I asked her "what are you doing to stay so up, perky, and happy? She said "I take my pills for my red blood cells and I just drink my tea." TEA? What tea? What is it? How do you make it? Full of answers she showed me how to take fresh organic Ginger root, fresh organic Tumeric Root, organic Milk Thistle Seeds, organic Egytian Hibicus flowers, and organic Cinnamon Sticks prepare and steep in distilled drinking water and drink it! Within a week, I felt so much better! Being Diabetic Type 2, it helps to keep my blood sugar levels below 120. No more aches and pains from my arthritis, I am sleeping better, my skin is clear, best of all I lost 15 lbs and I really do look great! Now, all I wanted to do is to share this not-so-well kept secret to my clients at Skinetics 1, Laser Spa so they (and anyone else) could benefit from my sister's receipe for what we now call "My Sister Sophia's Tea". My clients love it and all the credit goes to my sister teaching me (at age 76) to take care of myself. Now, if I could eat like my sister Doris I would be almost perfect! I love the weight loss! Ginger is a commonly used root vegetable that does not always get the credit it deserves. There are many purposes and reasons to have some ginger around the house, since there are many benefits it offers to you. This root vegetable is closely related to other useful herbs and spices (turmeric and cardamom) that can be found in the typical pantry, which means you gain similar benefits as these popular spices in addition to what ginger has to offer. Health Benefit: Nausea is a common ailment that can affect you when you are simply under the weather or when you are in recovery from something more serious. Quite often, illness often presents with nausea and it can be quite a damper on your daily activities as a result. However, ginger has some health benefit to help relieve your stomach ache, which is why you should always just have some around in the cold and flu season. Additional Info: Pure ginger root is best to alleviate your nausea. Consider cutting small slices of ginger and let it settle in boiling water. Drink as a tea. Additional Info: Ginger does contain strong antioxidants which may help to boost your immune system and keep you feeling well. Condition: Body weight is an issue in many parts of the country and with a large majority of adults. This has led many to try products to reduce weight and fat from the body. In addition to the gym, consider the use of turmeric to assist with your weight loss. Health Benefits: Turmeric contains curcumin, which is the main ingredient of this magical spice. Curcumin has many health benefits, but it is known to help prevent the growth of fat in the body. This bodes well for a number of people who simply struggle to lose those last few pounds. Milk thistle is known for its detoxifying effects on the liver thanks to its flavonoid complex called silymarin. It helps in cleaning out the lymphatic system to keep your body running smoothly. It also fights any metal toxicities in the system. Milk thistle extract contains high concentrations of beneficial fatty acids and omega-3s, which are essential for maintaining heart health. Omega-3 fatty acids are able to balance the cholesterol levels in your body, which can prevent atherosclerosis, thereby lowering your risk of experiencing a stroke or a heart attack. There are certain fungal infections that milk thistle has been shown to neutralize, and that probably relates to milk thistle’s traditional use as a remedy for mushroom poisoning. Many varieties of mushrooms are dangerous, and the “death cap” mushroom is particularly toxic, but it can be administered to prevent mortality. 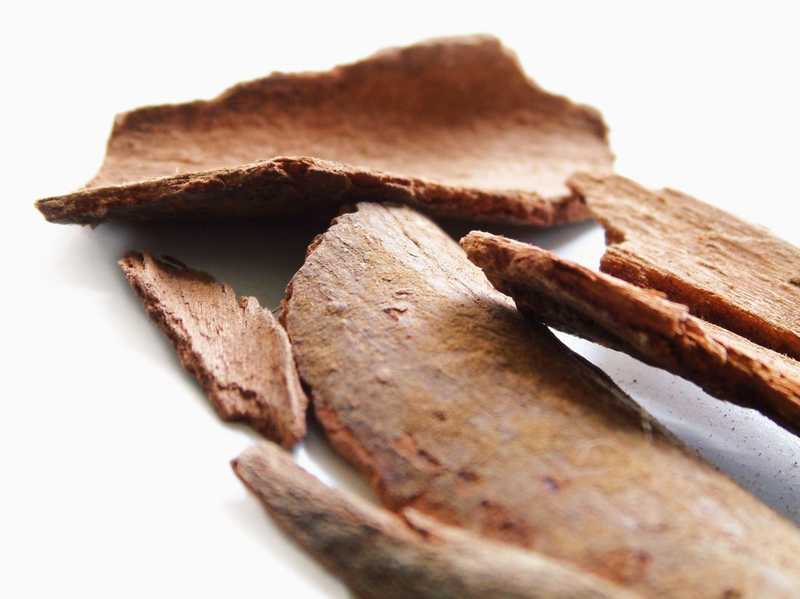 Health Benefit: Cinnamon spice is widely used to help individuals gain better control on blood sugar levels. There has been a large rise in diabetes in recent decades and now that obesity is a pressing issue in the U.S., but it is likely that adults will require as much help as possible. Effect on Health: Cinnamon is widely used to help lower blood glucose levels by small amounts, but for some individuals the small amounts can truly make a difference. Additional Info: There are many ways you can get more cinnamon in your body but you can blend water or milk with cinnamon and drink it. Additionally, consider sprinkling cinnamon on your morning oatmeal to gain your health benefits. The colorful hibiscus flower is cultivated worldwide for both its aesthetic appeal and its medicinal uses, which are primarily in the form of tea. Drinking several cups of hibiscus tea may help lower blood pressure, according to several studies. One such study, published in the July 2004 edition of "Phytomedicine," found that subjects who took an infusion prepared with 10 grams of dried calyx from Hibiscus sabdariffa for four weeks experienced reduced blood pressure, comparable to the results experienced by subjects taking the prescription medication captopril. Referred to as "sour tea" in Iran, hibiscus tea has traditionally been used to reduce blood pressure. A study published in the January 2009 "Journal of Human Hypertension" found some validity for that usage. The study reported that patients suffering from Type 2 diabetes who drank hibiscus tea twice a day for a month experienced a reduction in systolic blood pressure levels, although no reduction was noted in diastolic pressure. One traditional use of hibiscus tea is for reducing blood viscosity, according to the Center for New Crops and Plant Products at Purdue University. In modern terms, that would mean a reduction in cholesterol levels. Although research has shown mixed results, several studies have indicated that hibiscus tea can help lower or maintain cholesterol levels. For example, a study published in the June 2010 "Phytomedicine" reported that patients who suffered from metabolic syndromes experienced a decrease in overall cholesterol levels after taking a daily dose of 100 grams of Hibiscus sabdariffa extract powder. Drinking hibiscus tea may also help with digestive disorders. Both traditionally and recently, hibiscus tea has several other uses, although all of them have not been tested in clinical studies. One such use is to help maintain a healthy heart. Hibiscus contains flavonoids and anthocyanins, which have antioxidant properties and have been shown to support heart health. Hibiscus tea has also been used traditionally to treat coughing and poor appetite, and it has been used for its antibacterial and antifungal properties. In addition, drinking hibiscus tea may help with digestive orders, such as an upset stomach, as it can help relax the smooth muscle of the intestine.